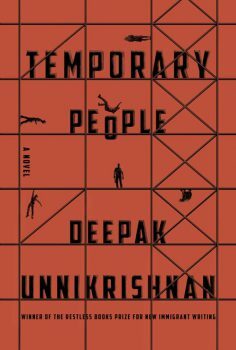 Deepak Unnikrishnan’s U A E based novel Temporary People won the Hindu Prize 2017.The Ministry of Utmost Happiness (Arundhati Roy), The Small Town Sea (Anees Salim ) ,When I Hit You ( Meena Kandasamy) and Leila ( Prayaag Akbar) were the short-listed books. 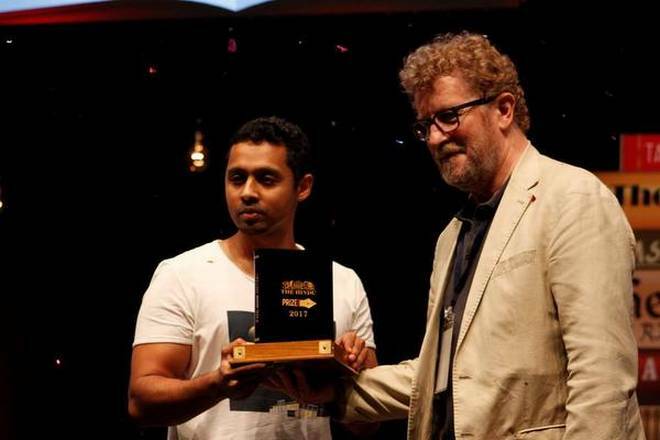 Unnikrishnan received the award from the British novelist Sebastian Faulks. White Crow reproducing Nick Leech’s (The National Daily) interview with Deepak Unnikrishnan. “I come from an Indian family. There are certain expectations. 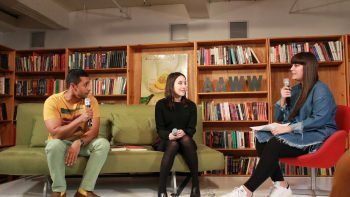 You are supposed to be talking to a physician now, but you’re not,” quips writer Deepak Unnikrishnan. The 35-year-old is the first recipient of the Restless Books Prize for New Immigrant Writing; a US$10,000 (Dh36,727) annual prize alternatively awarded to writers of fiction and non-fiction who are first-­generation residents of the United States. 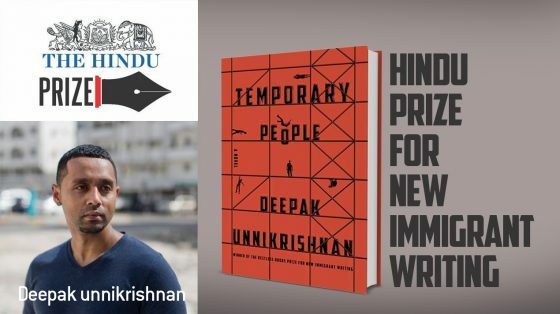 Unafraid to experiment with literary form, Unnikrishnan writes stories that examine the experience of immigration, emigration, identity and exile in the Gulf and India from a uniquely South Asian perspective. Born in Kerala, he was brought to Abu Dhabi as an infant and lived here until 2001, when he moved to study in the US. I speak with him at his small office on the Saadiyat campus of New York University Abu Dhabi, where he lectures and teaches a course of his own devising, The Outsider, as part of the university’s writing programme. “Now I’m back [in Abu Dhabi], which I wasn’t expecting, I have to figure out a way to live here again,” he tells me. “I’m living here based on a past that I understand and I’m trying to grapple with what the city has become. 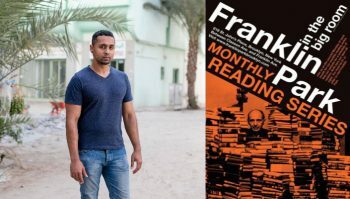 Issues of home and identity came to the fore in Unnikrishnan’s thinking in part because during his time in the US he found himself increasingly confronted with inaccurate depictions of the UAE, the Gulf and the wider Middle East and with puzzled questions about his background. “I heard a lot about ‘this’ place. The UAE is a part of the Middle East and that’s always referred to as a collective and associated with a certain set of characterisations and that bothered me,” he says. 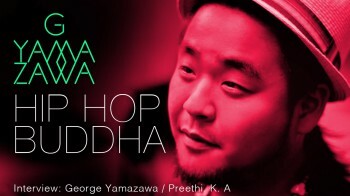 Eventually, after time spent working in the US as a gardener, removal man, dog-­sitter, house-sitter, library assistant and a stint at a TV station in New York, Unni­krishnan earned a place and a scholarship to study for an MFA at the Art Institute of Chicago, and it was there that he finally finished the manuscript that in May won him the book prize, and the deal that will see his first book, Temporary People, published in March 2017. 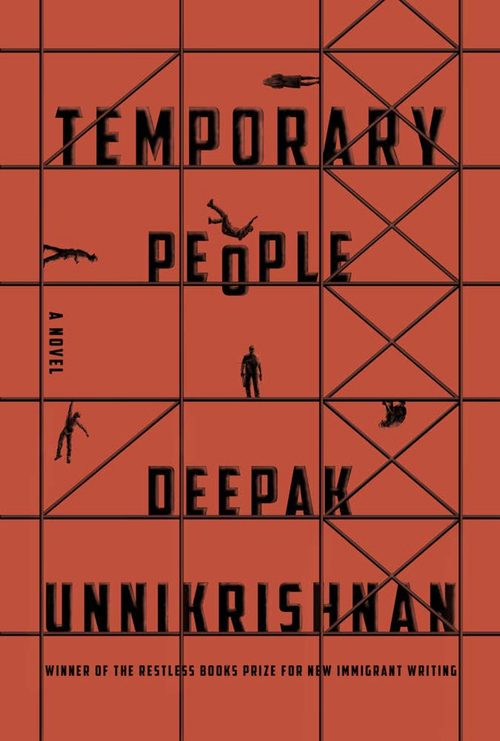 Charting the South Asian immigrant experience in the Gulf, India and the US, Temporary People will feature Gulf Return, a short story that has already appeared online. The story follows three workers who plan and execute their escape from a labour camp, with two of them transforming themselves into a suitcase and a passport and, carried by the third, racing to the nearest airport. As they arrive at the departures terminal and board a waiting airplane, the workers swallow anything and everything that stand in their way: fellow passengers, toilets, airline trolleys, wheels, wings and luggage and eventually become the plane itself, which finally takes off with the airport authorities in pursuit. 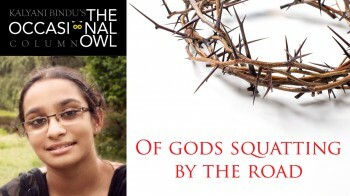 His surreal and hallucinatory style, which also defines his other short stories such as Water and How ‘Sharjah’ Mohan Took the Men, have drawn comparisons with the magical realism of Salman Rushdie and the satirical humour of George Saunders, but as the title of Gulf Return suggests, Unnikrishnan’s work reflects on issues that are simultaneously global and specific to the experience of NRI’s, long-term non-resident Indians, not just in the UAE but throughout the wider Gulf. “‘Gulf Return’. It’s a noun, but it could be a verb or it could even be an insult – depending on the sentence – but if you use it people know exactly what you’re talking about,” says Unnikrishnan of a label that’s used to refer to long-term expatriates. “Even in India, the people here are given a bad rap because they are ‘Othered’ and you see that in films,” he explains, referring to various Malayalam movies, often comedic, that chart the dilemmas faced by returning long-term migrants. 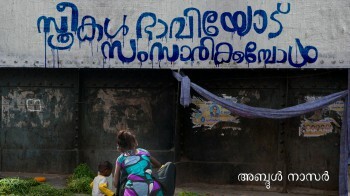 “In Malayalam writing and cinema, this topic has been examined for a long time, but then the relationship that India has with this place is ancient, centuries old, but there isn’t much [discussion] anywhere else, at least not in English. “A Gulf Returnee might be a person who has lived in the Gulf and is back, but they could also be a person who has returned and has no idea of how their old home functions any more. It’s either Gulf Return or Gulf Party, but I’ve also heard American Return as well. If Gulf Return charts the experience of returning migrants, Unnikrishnan’s fantastical How ‘Sharjah’ Mohan Took the Men and the poignant Water investigate the fate of those wives, parents and children whom the migrants leave behind. 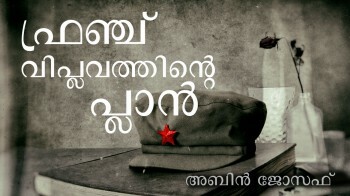 In How ‘Sharjah’ Mohan Took the Men, Unnikrishnan describes the tricks and lies employed by a recruitment agent, ‘Sharjah’ Mohan, who entices men away from a rural Indian village with the promise of easy money and a quick route to unimaginable wealth. In Unnikrishnan’s fiction, as in his life, the experience of migration is one that is both heightened and illusionary, and the sense of “home” he illuminates – so very different from the mythic, Homeric model – can never really be returned to or relied upon to offer any sense of consolation. 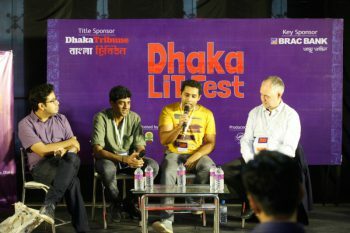 As such his work represents a literary response to the issues discussed in Neha Vohra’s sociological study Impossible Citizens: Dubai’s Indian Diaspora, while belonging to a new but growing genre of Khaleeji literature, including Saud Alsanousi’s The Bamboo Stalk and Mia Alvar’s In the Country, that Unnikrishnan hopes will provide a more nuanced picture of migrant life in the Gulf. “I want a document to acknowledge that I existed here and I continue to exist here, and it’s also for the people who live in this place – Emirati, Indian, Pakistani and Filipino – because I think they raised me, all of these people, because I lived in this city. “This is where I’m from. This is me. 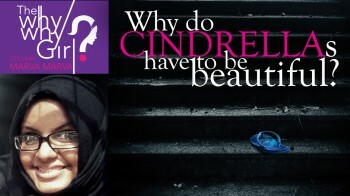 But I’m not sure how to acknowledge that properly,” Unnikrishnan reflects. 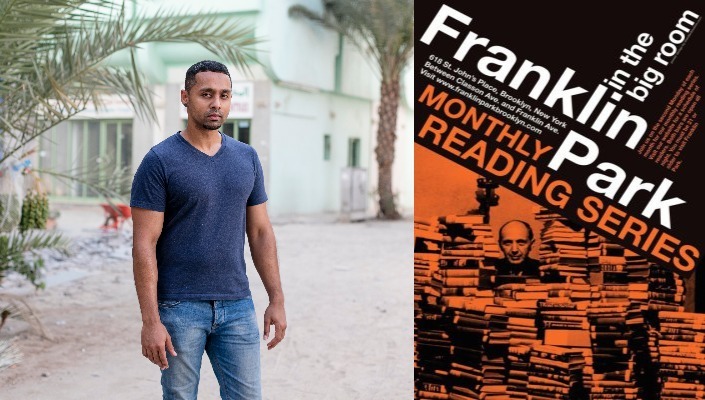 As we speak about the future, we get to Unnikrishnan’s upcoming talk at Nadi Al Quoz on Dubai’s Alserkal Avenue. The exact content is still a mystery to him, but the theme, he admits, is as unavoidable as it is obvious.